A British supermarket once lauded for its ingenuity and pioneering nature is now on the chopping block with a Swedish invader looming. 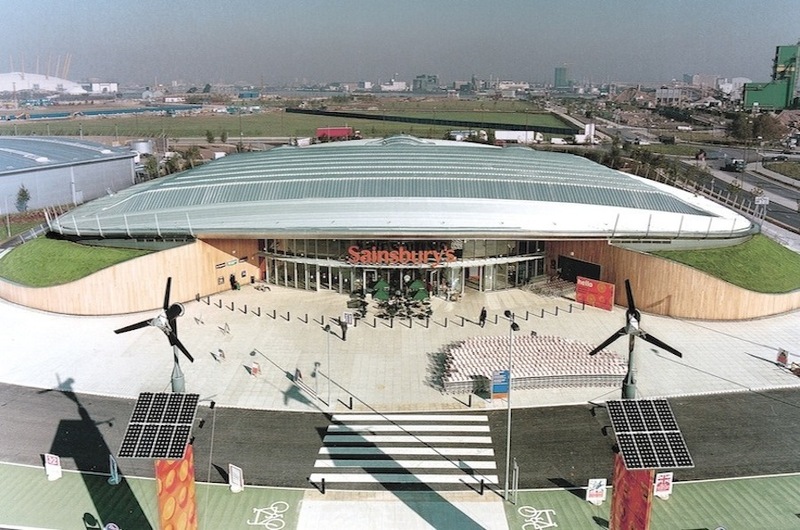 When it was completed, the Greenwich branch of UK Mega-chain Sainsbury’s was hailed as a breakthrough in eco-design and shortlisted for a prestigious Stirling Prize. Yet in early March the city council approved plans to demolish the structure in order to pave the way for a new IKEA warehouse outlet. The building was designed by Paul Hinkin during his time at Chetwoods Architects. Upon opening in 1999 it became the country’s first retail space to receive an “excellent” BREEAM (roughly the British equivalent of LEED) rating. Design features contributing to this assessment include a reed bed that collects rainwater for use in the store, a liberal hand with recycled materials throughout the interior, and on-site wind turbines. Hinkin is not alone in this battle, as a campaign to save the structure has been brewing since November once it appeared that it might be under threat. 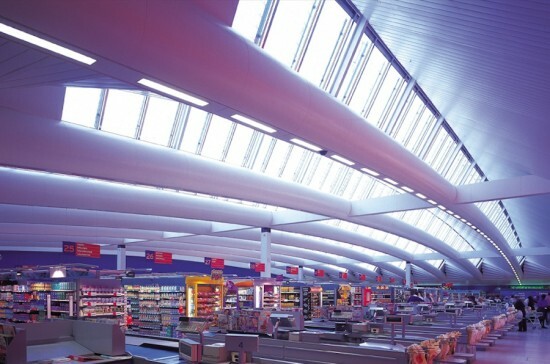 In late February advocates for preserving the market put in a somewhat audacious bid to English Heritage to have the store listed as a Grade II, the second highest grade the organization bestows upon builds that are “particularly important…and of more than special interest.” Approval would make the supermarket the youngest recipient of the honor. In light of the Greenwich Council’s rulings these efforts would seem to heretofore have been in vain. Sainsbury’s decision to sell the site on the condition that it not be filled by another food retailer essentially seals the fate of a structure that was explicitly designed for that purpose. 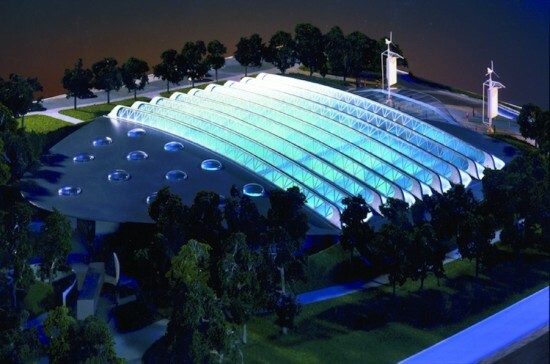 In an essay written for the UK Green Building Council, Hinkin described bespoke, function-specific structures as a key component of his sustainable architectural philosophy. While they may be sustainable in the short-term, the problems buildings designed along such precepts eventually have in adapting to new programs would appear to make them decidedly unsustainable in the long term. 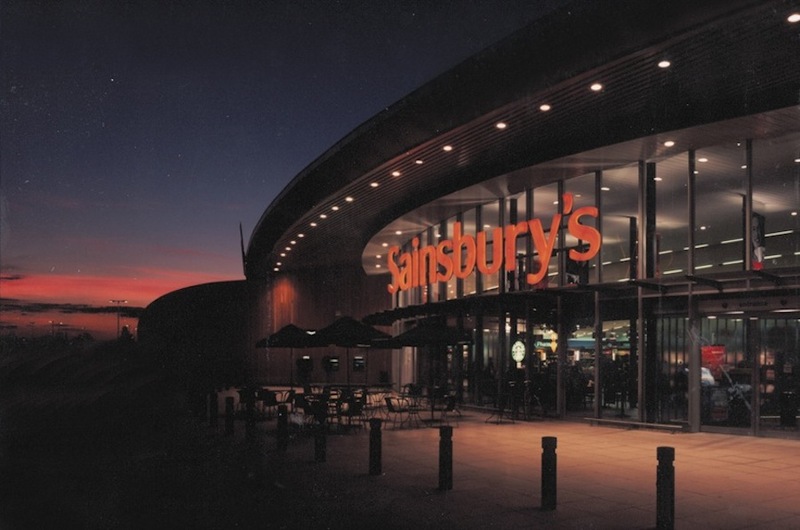 The early success and what appears to be an increasingly likely untimely end of the Greenwich Sainsbury’s illustrate the immediate benefits and eventual issues destined to plague this approach.